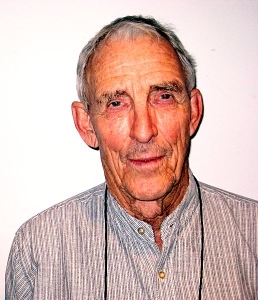 Following an acclaimed career spanning six decades, author Peter Matthiessen passed away on April 5, 2014 at the age of 86 while waiting for the publication of his final novel. Twice winner of National Book Awards for The Snow Leopard (1980-General Non-Fiction) and Shadow Country (2008-Fiction) – the only writer to have won the award for both fiction and non-fiction – Matthiessen is rightly remembered as one of the most respected nature writers of his time. Studying English and Zoology at Yale and subsequently co-founding The Paris Review in 1953, Matthiessen’s career was as diverse as it was acclaimed. Famous for his 1965 novel, At Play in the Fields of the Lord, which was made into a commercially unsuccessful movie of the same name in 1991 and served as inspiration for the movie Avatar, the author was also celebrated for his passionate expose of Leonard Peltier’s murder trial in In the Spirit of Crazy Horse. Whether writing about majestic cranes, elusive snow leopards, Lake Baikal or a Florida sugar cane plantation in the early 1900s, Matthiessen will be remembered not only for his wonderful nature writing, but also for his ability to translate the quiet magical power of the natural world into the written word like no one else. His last novel, In Paradise, a reflection on the horrors of the Nazi concentration camps, was released on April 8, 2014.